Four world leads and some thrilling duels were the highlights at the 27th edition of the Fanny Blankers-Koen Games. The Fanny Blankers-Koen Games is a Grand Prix status meeting as part of the 2009 IAAF World Athletics Tour. The Hengelo track is a very fast one. That was made clear again in the men’s 5000m and the women’s 1500m. The men’s 5000m produced the four fastest times of the season, with Ali Abdosh of Ethiopia taking the victory after coming from behind with 200 metres to go en route to clocking the only sub 13:00:00 minutes time with 12:59:56, a career best for the 21-year-old. Augustine Choge (13:00:79) and Eliud Kipchoge (13:00:91) were more than one second back. 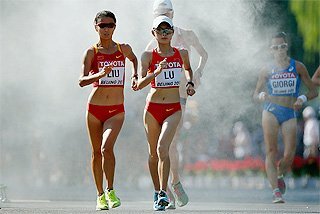 In the women’s 1500m Gelete Burka became the first woman of the year to break the four minute barrier. With her 3:58:79 she was well ahead of Russian Anna Alminova (4:01:54) and Kenyan Viola Kibiwot (4:02:70). The African champion over the distance, Burka, 23, won the 5000m here last year. World and Olympic Long Jump champion Irving Saladino scored his third victory in Hengelo. Last year he jumped 8.73m in the Hengelo pitch. This time his best measured 8.56m. 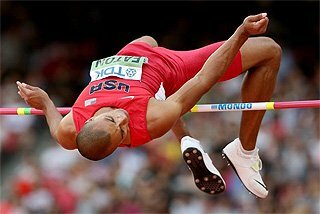 The victory was however a narrow one as American Dwight Phillips, the 2003 and 2005 World champion, was just two centimetres back with 8.54 metres. 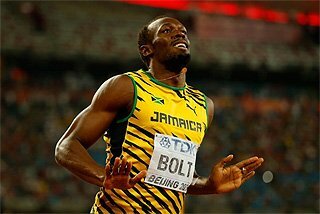 Both athletes were aided by nominal winds of 0.8 and 0.9 m/sec respectively. Churandy Martina of the Dutch Antilles ran the fastest 100m of the year clocking the fastest 100m ever run in The Netherlands with his 9.97 victory in nearly still (+0.1) conditions. He edged American Monzavous Edwards (10.02) by 0.05. 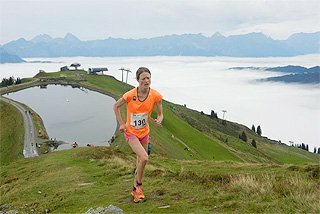 “I am very happy with this time so early in the season,” Martina said. On the surface, the circumstances for Haile Gebrselassie’s attempt to break his World record in the One Hour run were ideal. The event was at the beginning of the meet programme, with a sell out crowd of 18,000on hand. But then some winds kicked in and the runners were sometimes hampered by rain. 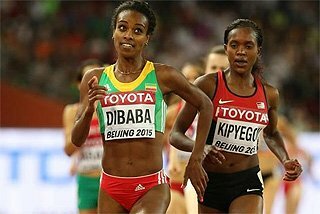 So it soon became apparent that the Ethiopian’s record of 21,285m, set in Ostrava in 2007, would stand. 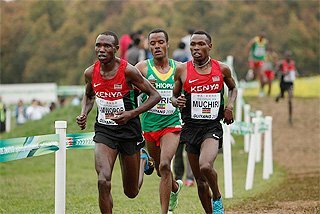 Running together with Kenyans Kiplimo Kimutai and Wilson Kiprop, the World record holderin the Marathon went on to outsprint his opponents in the final stages. ‘Mister Hengelo’, as Gebrselassie is nicknamed here, covered 20,822m. 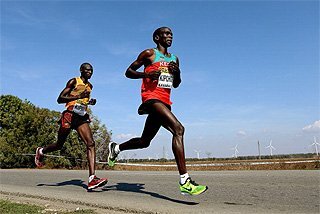 Kumutai registered a distance of 20,797 and Kiprop 20,750. Sudan’s Abubaker Kaki won the 800m in 1:43:10, just 0.01 slower than his current world leader from Doha last month. In the fast race Moroccan Amine Laalou and Kenyan David Rudisha were second (1:43:36) and third (1:43:53). 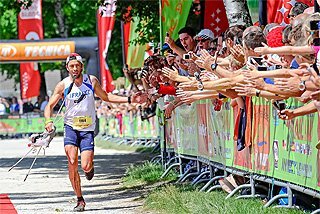 European champion Bram Som of The Netherlands proved to be back after two years of injury problems, finishing fourth in 1:44:80. The 1500m was a close contest between Kenyan Asbel Kiprop and Deresse Mekonnen of Ethiopia. The Olympic silver medallist Kiprop prevailed in 3:34:45, well clear of Mekonnen’s 3:34:85. Olympic 5000 and 10,000m champion Kenenisa Bekele, who was planning to test his speed in the race, stopped about midway and did not finish. It wasn’t immediately reported why Bekele opted out of the contest. The 3000m Steeplechase was billed as a new confrontation between the Olympic medal winners of Beijing, and it was nearly deja vu all over again. Kenyan Brimin Kipruto won in 8:06:46, beating silver medallist Mahiedine Mekhissi-Benabbad of France again (8:06:98). But Richard Mateelong, the Beijing bronze medallist, was now beaten into fourth place (8:13:73) by his Kenyan compatriot Elijah Chelimo (8:12:41). 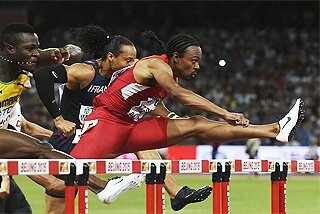 There was a disappointment for the Dutch spectators as Gregory Sedoc was disqualified after a false start on the 110m Hurdles. The race was won by Briton Andrew Turner in 13.30. 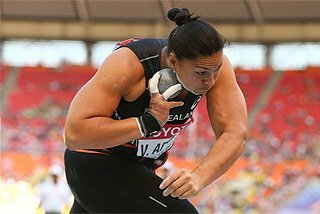 In the men’s Shot Put the 21m barrier was broken for the first time at Fanny Blankers Koen stadium. American Reese Hoffa won with a 21.59m effort, beating Polish Olympic champion Tomasz Majewski into second place (21.19m). LaVerne Jones of the Virgin Islands was a double winner in Hengelo. 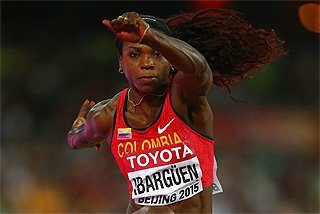 She took the 100m (+0,1 m/s) in 11.13 before prevailing over the half lap in 22.46. 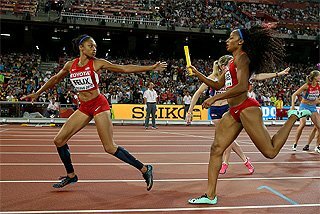 In the shorter race, runner-up Stephanie Durst (USA) was also credited with 11.13, while Olympic 400m champion Christine Ohuruogu of Great Britain was second in the 200m clocking 22.85.